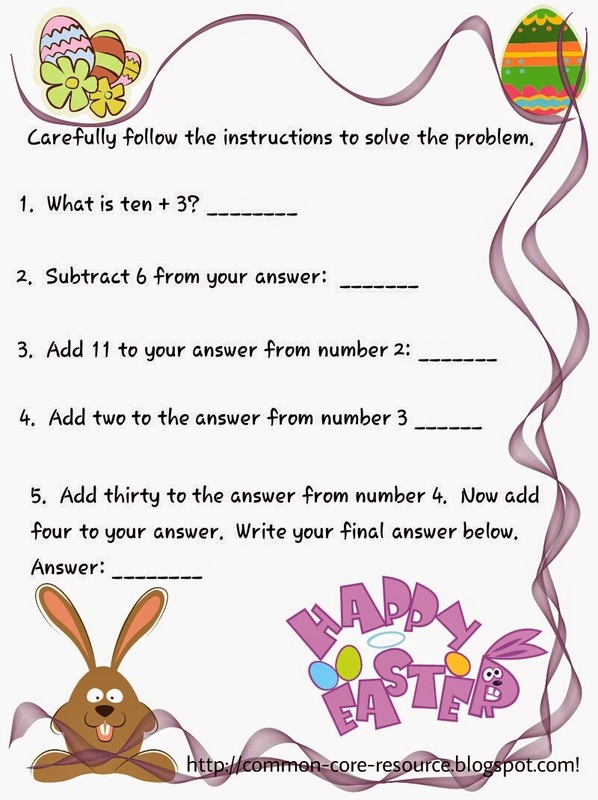 Here is an Easter-themed worksheet that has multiple steps for solving word problems. Feel free to download, print, and share with your child or class. 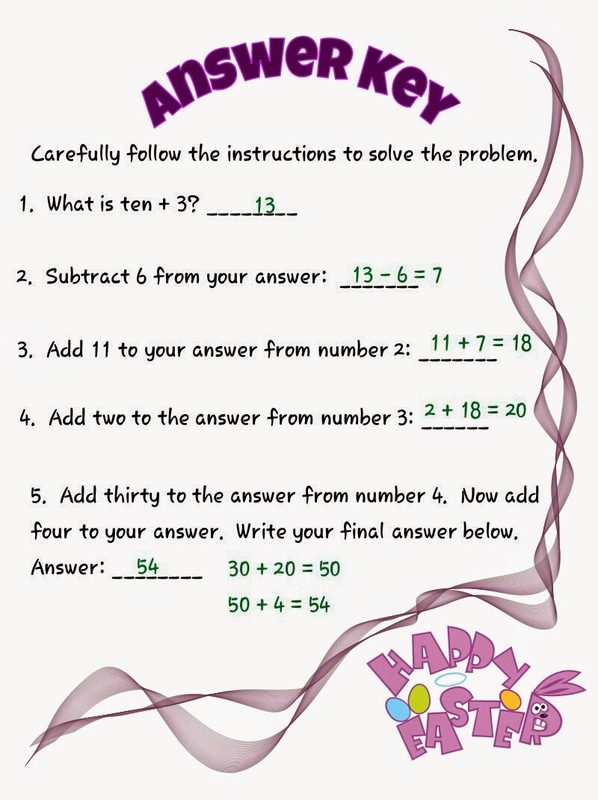 I would like to note that the math in it is simple, but it will challenge a child/student to focus on following instructions so that they can get the correct answer. It can be done as a group exercise or individually.